As the season winds down, the Silver Creek Village Board would like to remind all residents of the proper etiquette for the discardment of brush, grass and other clippings within the village lines. According to chapter 60 of the Silver Creek Village Code Book, brush, weed stalks and limbs should be cut into lengths no longer than six-feet. They should all be single in nature,( i.e. — a tree limb with multiple branches should be trimmed to a single stem for pick up if at all possible). Brush should be tied into bundles 18-inches in diameter with string or twine, no metal, and should not weigh over 50 pounds per bundle. Leaves, grass clippings, and small sticks should be placed in a weather proof container, (no boxes or bags) which can be picked up and dumped onto the truck. These containers should not exceed 40 pounds. No metal, glass, or demolition and building materials will be picked up. As a side note, heavy metal pick up is scheduled for the last Wednesday of the month thru the end of November, weather permitting. Brush pick-up is scheduled for the first and third Mondays of each month thru the end of October. Also everyone is reminded that during the paving season, this may vary somewhat, depending on blacktopping. The village has had an extremely large collection of brush this season, due in part to the winter storms of March and April. It has been a season long clean up process and it thanks the community for its cooperation in getting this done. 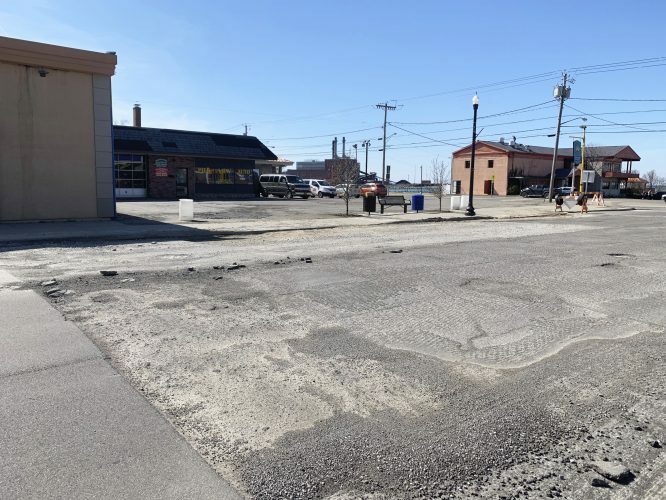 It will continue to pick up brush on schedule for the remainder of the season, however the village would ask all residents to be patient as it still has blacktopping and road repairs to be done also during the few remaining good weather months.